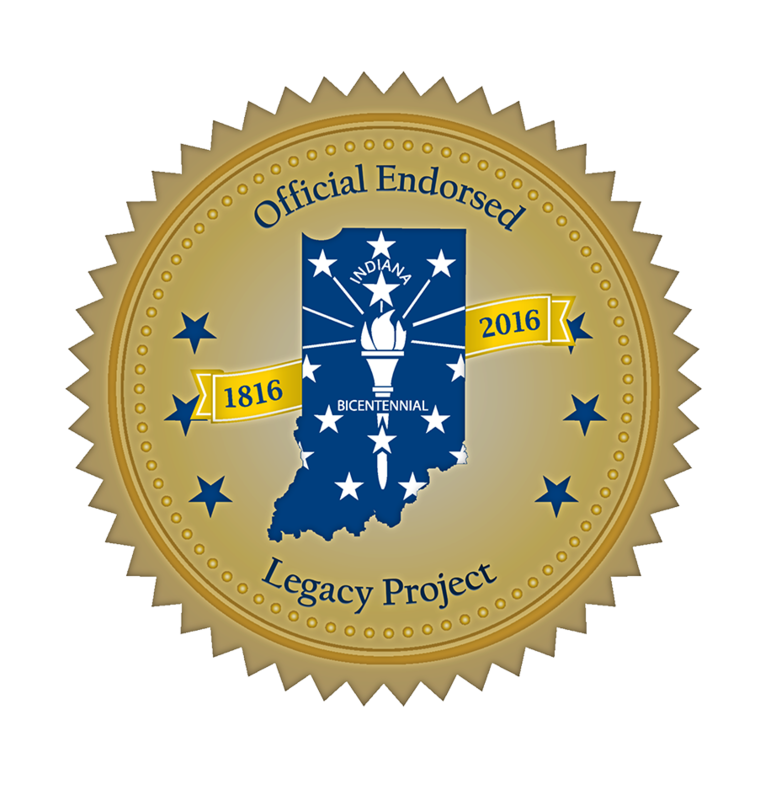 Are you aware of the Indiana State Library’s massive collection of rare books, state and federal documents, Indiana history and genealogical material? There’s truly something for everyone – and for me, it’s an assortment of interior design, “how-to” books and advertisements and building samples, spanning from 1920-1960. 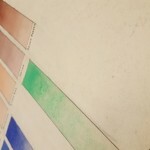 Our latest Rare Books and Manuscripts exhibit features a standard edition of the Munsell Book of Color created by the Munsell Color Firm in 1929. 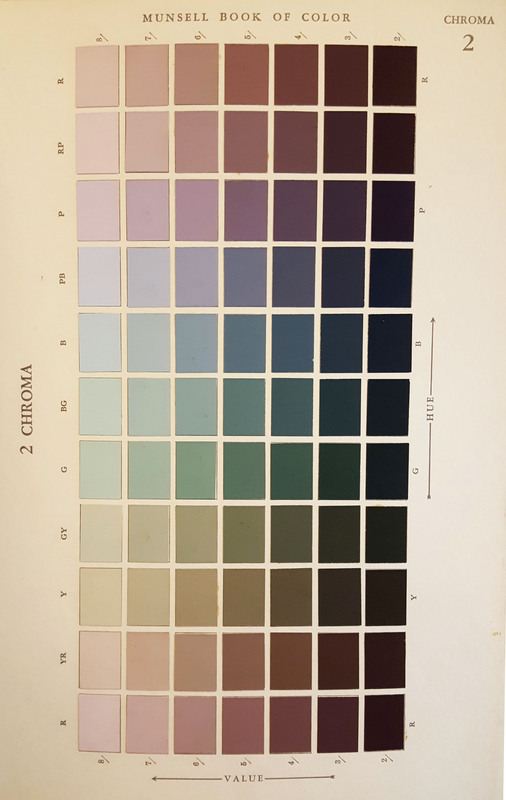 The Munsell color system was created by Professor Albert H. Munsell and is based on three color dimensions: hue, value (lightness) and chroma (color purity). The color of any surface can be identified by comparing it to the chips under proper viewing conditions. A Dictionary of Colours for Interior Decoration will also be on display. 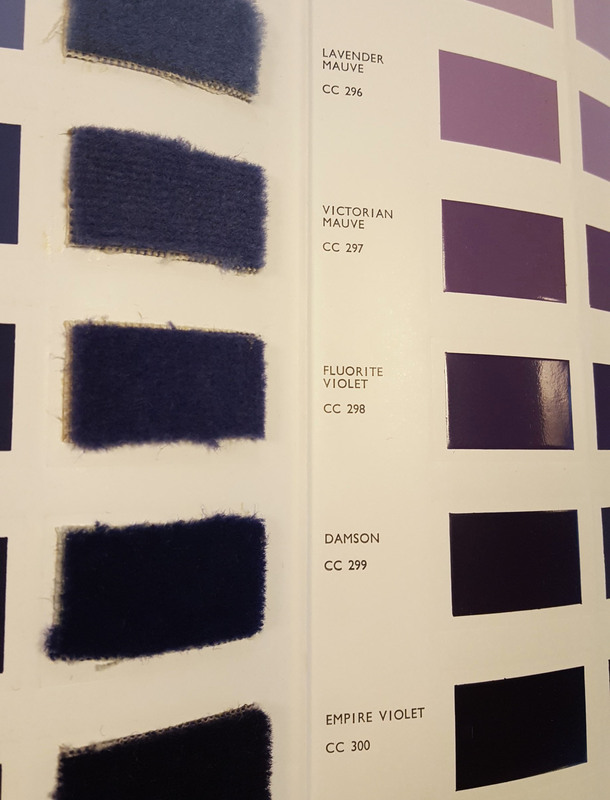 Developed by the British Colour Council in 1949, this volume was published to provide clarity and standardization of design work, specifically application to carpets, curtains and upholstery fabric, and in the making of paint or other materials used in decorating. 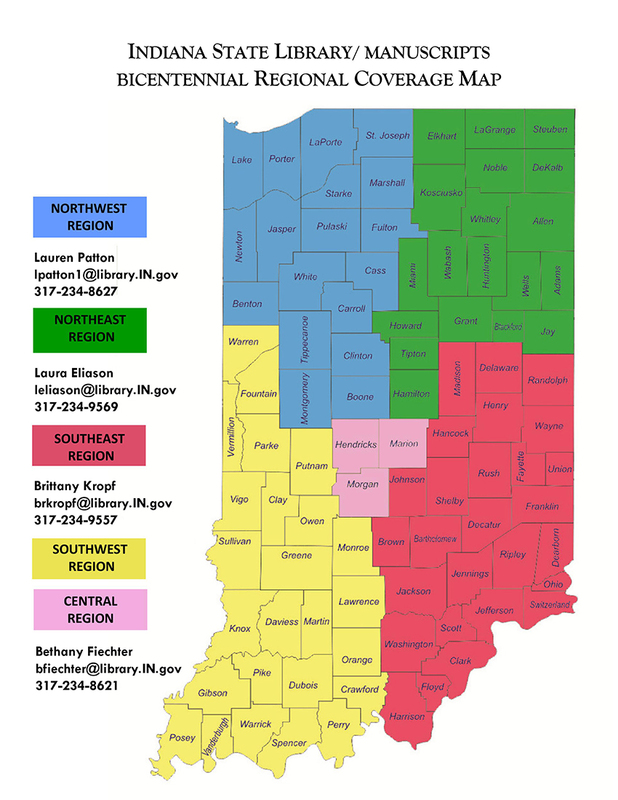 The guide includes 378 colors displayed on three surfaces, including matte, gloss and fabric. 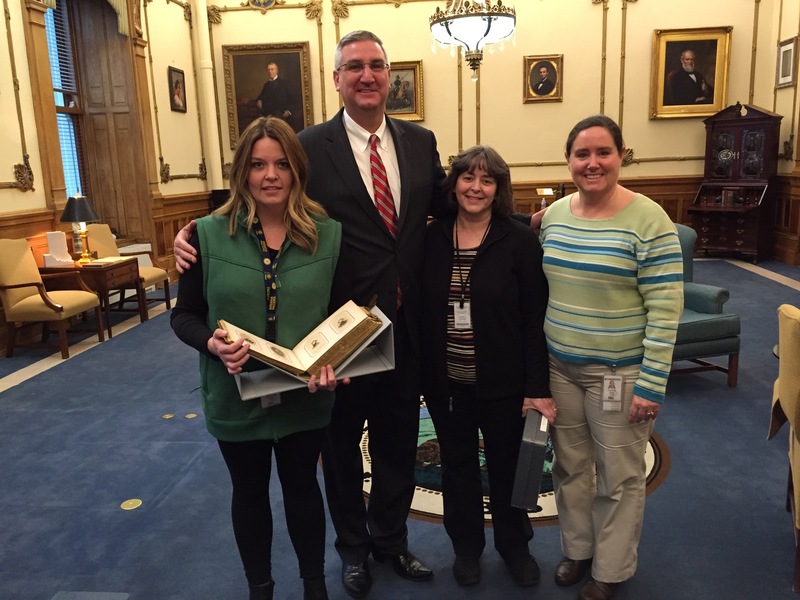 Interested in Indiana furniture design during the 1960s? Several Tell City Chair Company catalogs are available to view. 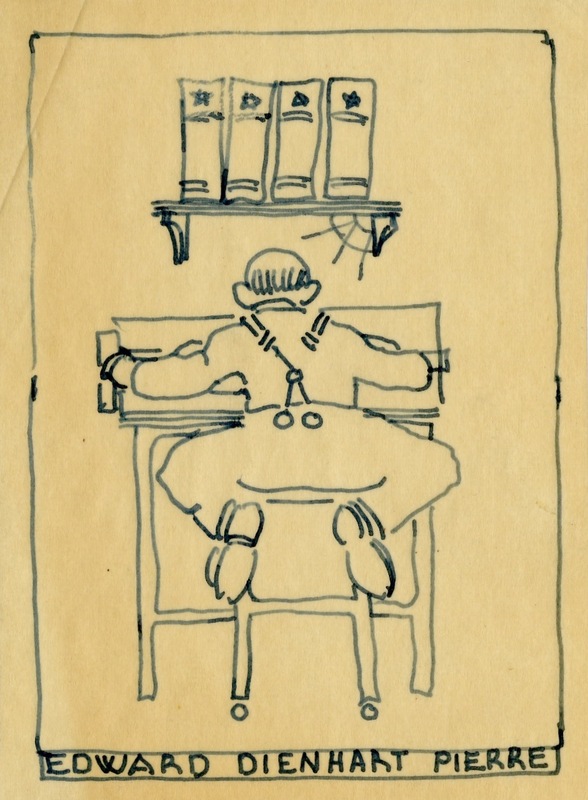 The catalogs were designed to aid the homemaker who desired a “comfortable and attractive living space.” They include a comprehensive review of Tell City’s furniture styles, the basic principles of decoration and tips on the care of furniture. Paired with the Tell City Chair Company catalogs is one of our favorite volumes within the rare book collection titled “The American woods: exhibited by actual specimens and with copious explanatory text.” Each volume contains a booklet of descriptive text and at least 75 wood samples mounted in an estimated 25 plates. 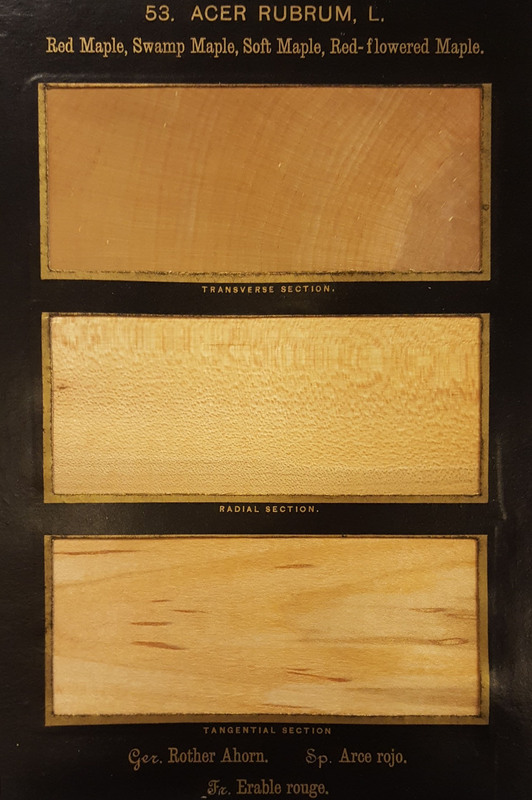 The featured specimen includes a transverse section, a radial section and a tangential section with Latin, English, German, French and Spanish names for maple wood. Maple wood was featured in many styles of the Tell City Chair Company, including the Young Republic Group and the Hard Rock Maple. Many of the furniture pieces are highly valued among collectors due to their fine craftsmanship and quality. 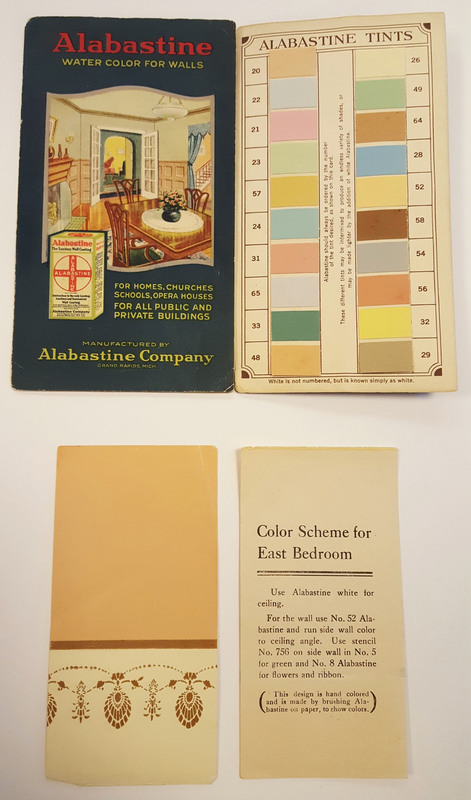 If you’re curious about building repair or home decoration supplies during the early 1920s-1950s, we have you covered! Booklets from the Louisville Wall Paper Company, Sherwin-Williams Company, Indiana Farm Bureau, Co-operative Association, Inc., Alabastine Company and the United States Rubber Company are on display, too. The Rare Books and Manuscripts reading room is located on the second floor of the Indiana State Library. 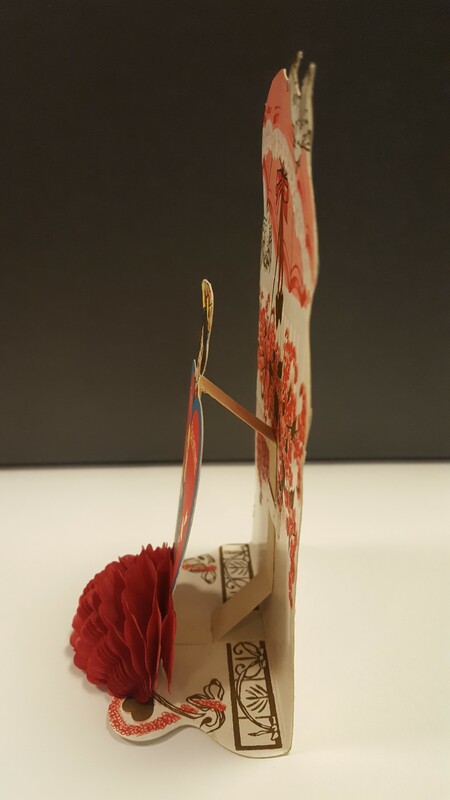 The interior design exhibit will be on display until the end of March. 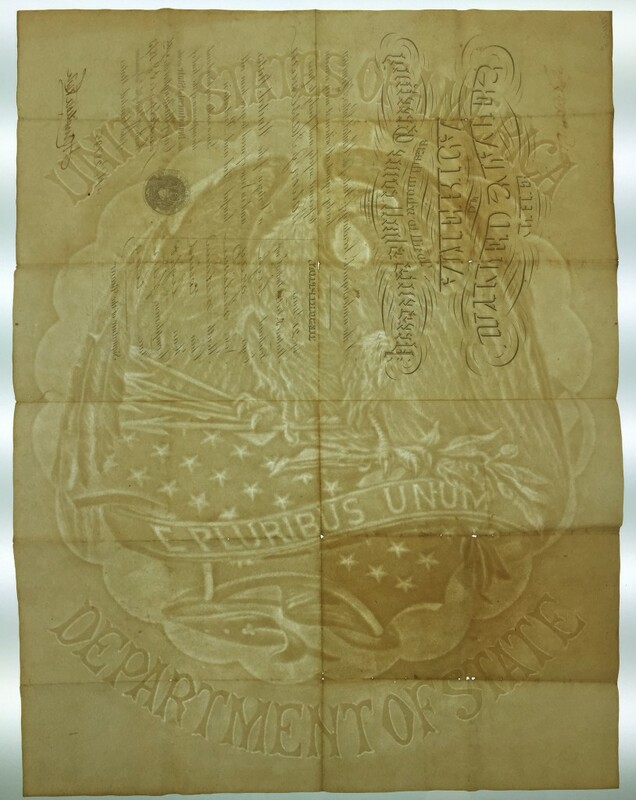 Pictured is an example of an early U.S. passport, found in the Hasselman-Blood family papers (MSS L385). The first United States passports were issued during the American Revolution. Early American passports were modeled after the French passports at the time and looked much like this example from 1873. This style was used from 1789 until 1900. This passport is slightly larger than 11 x 17 inches. On the left side, it gives a physical description of the bearer including age, height, and facial features. There is a passport number, but no explicit expiration date given. This particular passport was issued to Watson J. Hasselman of Indianapolis. This passport also boasts a large State Department watermark. 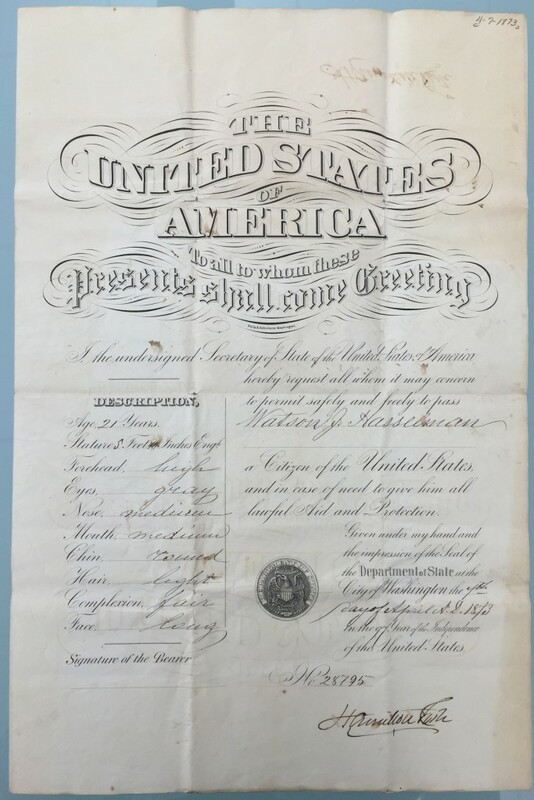 Although the State Department issued passports beginning in 1789, states and cities were also able to issue passports to citizens until 1856. Passports not issued by the State Department, however, were not often recognized by other nations. During this period, the United States did not require a passport to enter or exit the country, but that changed at the start of U.S. involvement in World War II. Passports were not standardized until after World War I. 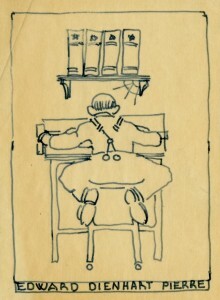 The booklet layout that people recognize today was introduced in 1926. Averbach, Scott, “The History of the US Passport,” Passport Info Guide, September 13, 2014, Accessed October 12, 2016, http://passportinfoguide.com/the-history-of-the-us-passport/. Woodward, Richard B., “Book Review: The Passport in America,” The New York Times, September 22, 2010, Accessed October 12, 2016, http://www.nytimes.com/2010/09/26/travel/26armchair.html?_r=0. 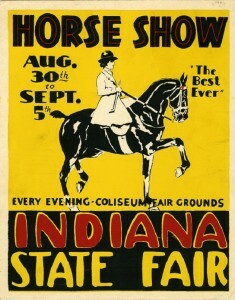 As we recover from the crush and hubbub of this year’s Indiana State Fair (not to mention snarfing all those elephant ears and fried pickles), take a gander at a few gems from the fairs of the early 1930s in the Indiana State Library’s broadside collection. 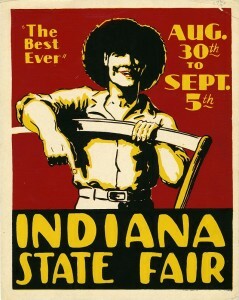 The 1930 and 1931 Indiana State Fair broadsides (sheets of paper printed on one side, often mass-produced for wide dissemination, such as posters) were simple but vibrant, using only two colors in addition to black and very little text. 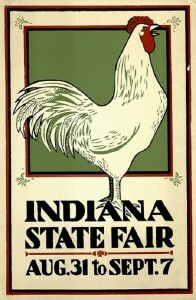 The subjects, a rooster and a farmer with his scythe, demonstrate the original intent behind state fairs as primarily agricultural exhibitions. But like the fairs nowadays, those of the early 20th century featured many of the traditional entertainment staples we have today: Ferris wheels, cotton candy, and contests. The fairs of old just did it on a smaller scale. (Those in the 1930s only lasted about a week. Inconceivable!) 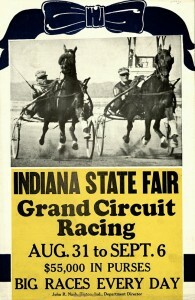 Here are two broadsides from 1931 and 1932, respectively, announcing specific activities at the fair—the horse show and racing. 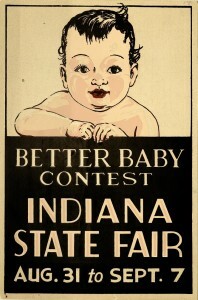 The last broadside is from the Better Baby Contest at the 1930 state fair. 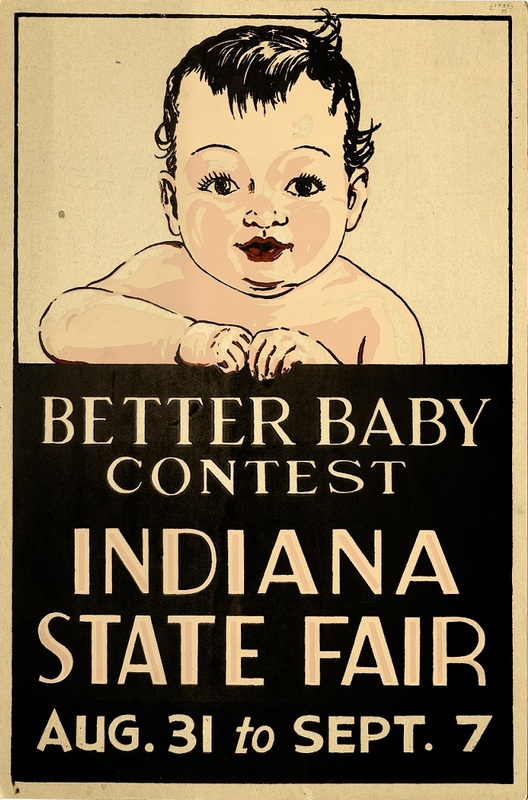 While friendly competition is a longstanding tradition at all fairs, the Better Baby Contest at the Indiana State Fair, and others across the nation, represented something altogether more sinister. Between 1920 and 1932, white mothers entered their babies and toddlers in the contest, where the children were weighed, measured, and judged for mental and physical health using baby growth charts (which were later criticized as oversimplified and inaccurate). Those children rated the best were awarded ribbons and prizes, rather like livestock and baked goods. 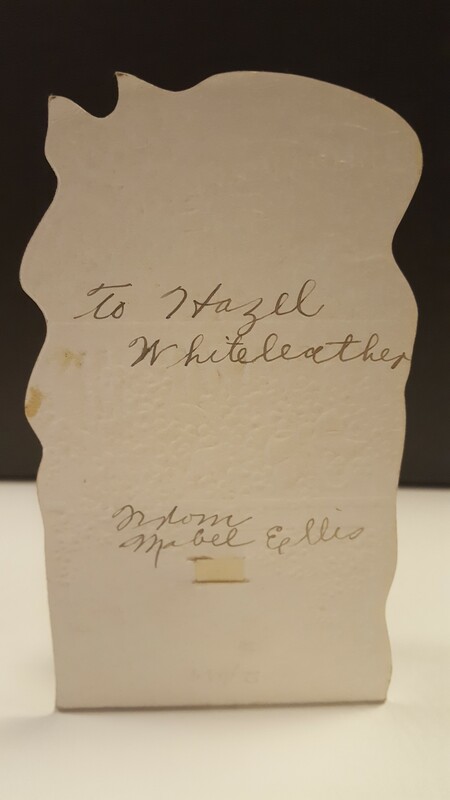 Although on the surface, the contest encouraged parents to take maternal health and early childhood development more seriously, in reality, the competition was fraught with the pseudo-science, racism, and ideology of the eugenics movement. Bidding farewell to the fair— until next year! All these broadsides and more are publicly available online. 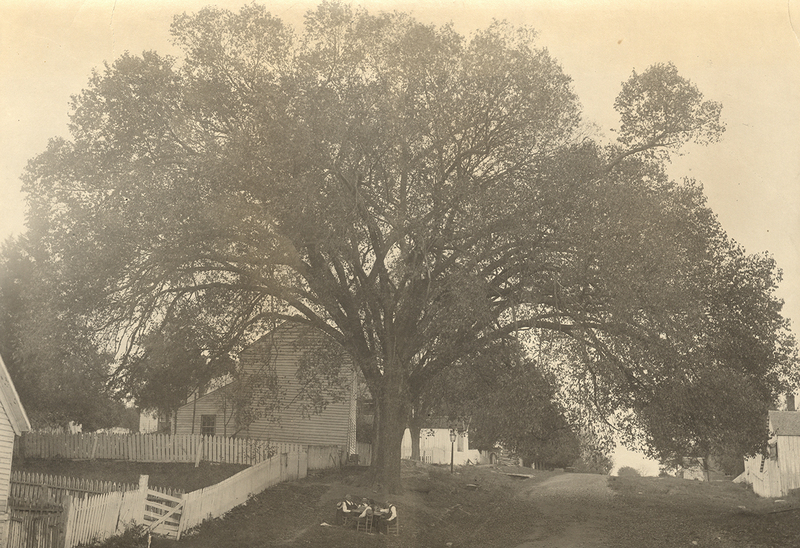 This collection and many others continue to grow, so be sure to check back from time to time to see the newest additions to the ISL Digital Collections, found at http://digitalcollections.library.in.gov. 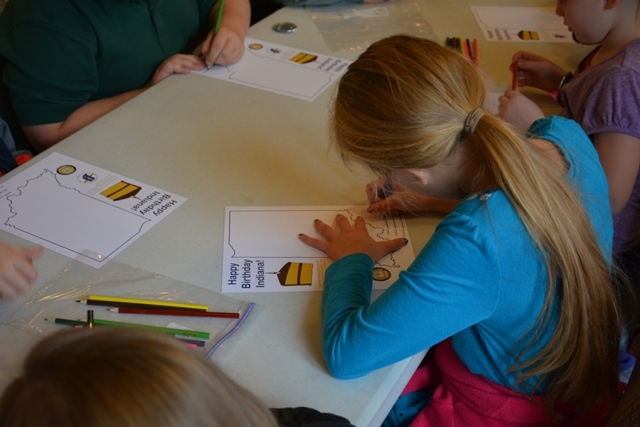 Fourth grade students from around the state are being asked to decorate special, acid-free birthday cards supplied by the library while briefly explaining “Why do you love Indiana?” and “What does being a Hoosier mean to you?” Over the last few months, Rare Books and Manuscripts staff have contacted over 150 educators and parents. 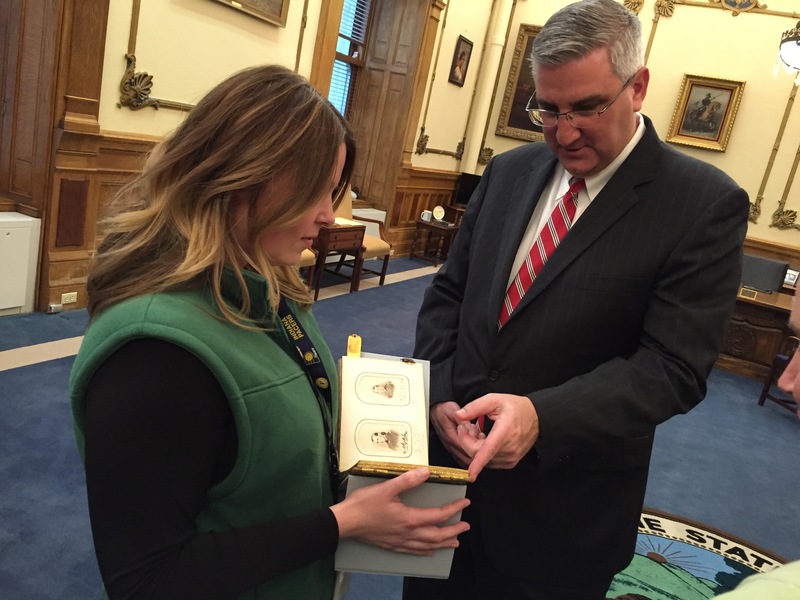 “It’s been a wild ride” says Bethany Fiechter, Rare Books and Manuscripts Supervisor. 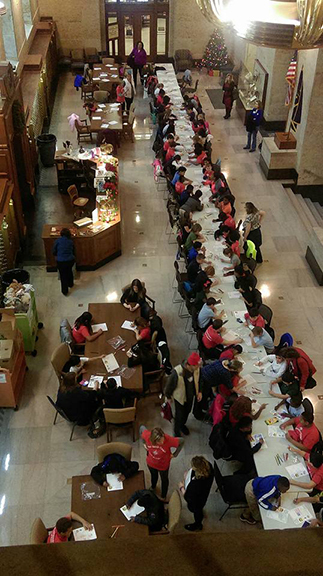 “We’ve made new connections between our library, public libraries and schools throughout the state. 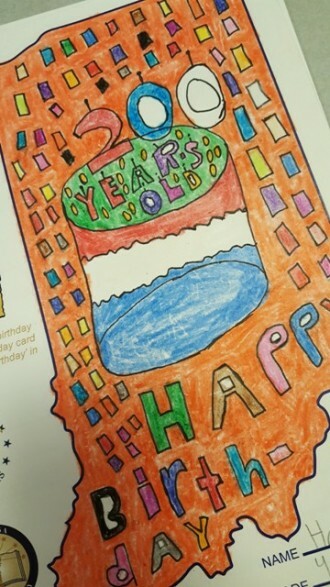 The student’s thoughtfulness and creativity shines through their work. 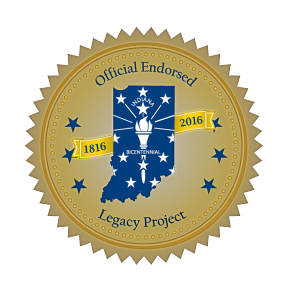 It continues to be a rewarding experience for us all.” At the end of the project, the State Library’s collection will include a total of 10,000 cards with all 92 counties represented. 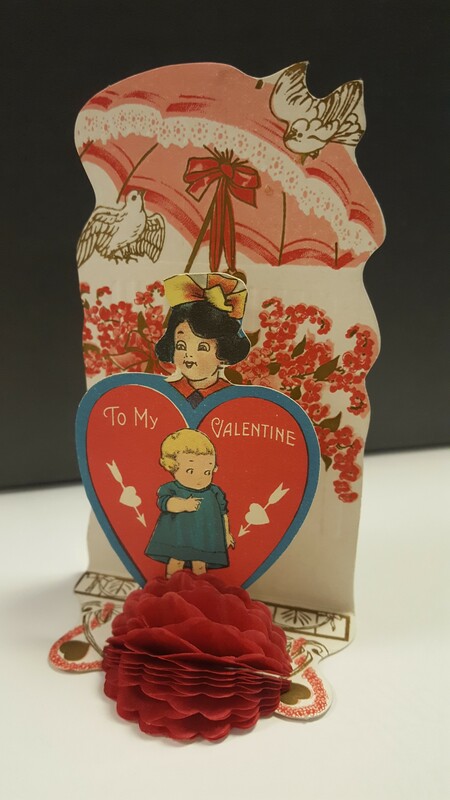 Laura Eliason, Rare Books and Manuscripts Program Coordinator, has enjoyed seeing cards trickle in, including those from homeschooled children. If your county is listed below, please contact a regional coordinator from the map below or Rare Books and Manuscripts Supervisor, Bethany Fiechter, at bfiechter@library.IN.gov or 317-234-8621.